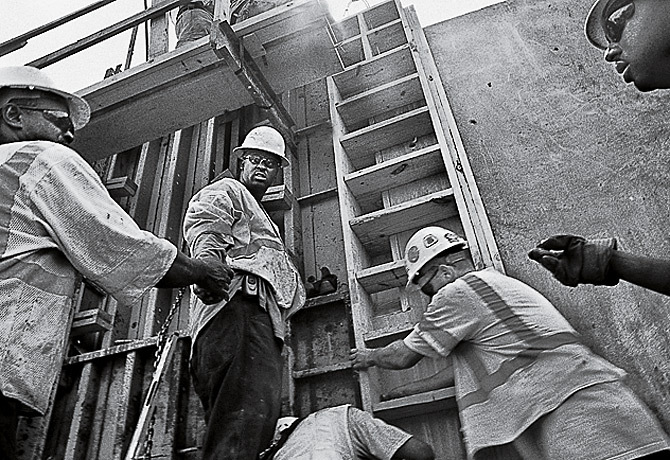 Workers from the Army Corps of Engineers finish the last part of the new flood wall at the 17th Street Canal in New Orleans, La., on July 2, 2007. They should. Two years after Katrina, the effort to protect coastal Louisiana from storms and restore its vanishing wetlands has become one of the biggest government extravaganzas since the moon missionand the Army Corps is running the show, with more money and power than ever. Many of the same coastal scientists and engineers who sounded alarms about the vulnerability of New Orleans long before Katrina are warning that the Army Corps is poised to repeat its mistakesand extend them along the entire Louisiana coast. If you liked Katrina, they say, you'll love what's coming next. Before Katrina, the Corps was spending more in Louisiana than in any other state, but much of it was going to wasteful and destructive pork instead of protection for New Orleans; one Corps project actually intensified Katrina's surge. After Katrina, a series of investigations ripped the Corps for building flimsy floodwalls in soggy soils, based on wildly flawed analysesand shoddy engineering was only one way the Corps betrayed New Orleans. But while fema director Michael Brown's resignation made front-page news, Corps commander Carl Strock's resignation hardly made the papers. By the time Strock admitted his agency's "catastrophic failure" eight months after the storm, the U.S. had moved on. As the disaster's Aug. 29 anniversary approaches, there will be plenty of talk about the future of New Orleans-how to rebuild; bring home the diaspora; and deal with crises like housing, crime and education. But in the long run, recovery plans won't matter much if investors, insurers and homesick evacuees can't trust the Corps to prevent the city from drowning again. "Katrina wasn't even close to the Big One," says Louisiana State University (lsu) hurricane researcher Ivor van Heerden, author of the Katrina memoir The Storm. "We better start getting ready." How Can We Save New Orleans?